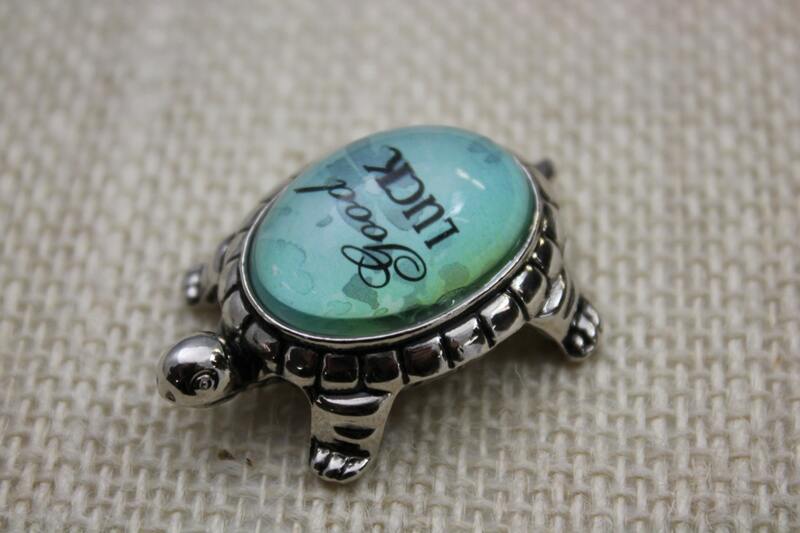 This is a glass turtle figurine on a silver base. The message says Good Luck. It is just meant to sit around and look adorable, thus I call it a do-dad! It is 1 and 1/2". Comes ready to gift in a chiffon gift bag. A great little message and a sweet little gift for someone who needs a little bit of luck! This was the cutest turtle, and a perfect gift for my friend who was starting a new job.